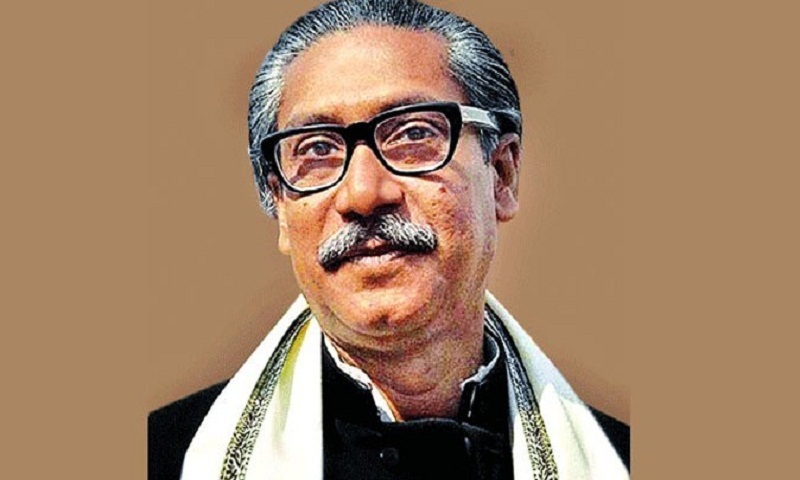 The government has taken different programmes to observe the 43rd martyrdom anniversary of Father of the Nation Bangabandhu Sheikh Mujibur Rahman and National Mourning Day on August 15 with due respect and solemnity. As part of the programme, the national flag will fly half-mast atop the offices of all government, semi-government and autonomous bodies, educational institutions and Bangladesh missions abroad on the day, a handout said on Wednesday . In the morning of the day, President Abdul Hamid and Prime Minister Sheikh Hasina will place wreaths at the portrait of Father of the Nation Bangabandhu Sheikh Mujibur Rahman at Bangabandhu Museum in the capital at 6.30 am. Later, in the morning, Sheikh Hasina will place wreaths and offer fateha at the Banani graveyard for all family members of the Father of the Nation and others, who embraced martyrdom with Bangabandhu on August 15, 1975. The Prime Minister will also place a wreath at the Mazar of Bangabandhu Sheikh Mujibur Rahman at Tungipara in Gopalganj. Fateha will be offered and the Armed Forces will again give a guard of honour there. A special milad mahfil and doa will be held there. Similarly, all city corporations, district councils, municipalities and union councils will arrange different programmes to observe the day with due respect and solemnity. Special munajats will be offered at all mosques in the country while special prayers will be held at all pagodas, churches, temples and other worships. Bangladesh Betar, Bangladesh Television, private TV channels and radio stations will take special programmes in observance of the National Mourning day. National and local newspapers will bring out special supplements on the occasion. Bangladesh Television will take initiatives to read out the Bangabandhu’s books – “Osomapto Atmajibani” and “Karagarer Rojnamcha”. The killing of Bangabandhu and most of his family members on the fateful night of August 15, 1975 was the ugliest chapter of the nation’s history. The self-confessed killers of the August 15 did not only assassinate Bangabandhu alone, but also killed 16 other members of his family, friends and relatives.